Join us for our 20th Annual Bay Harbor Arts Festival, a celebration of the arts, music, wine, food and entertainment for the entire family. The artists tents will be sprinkled along Main Street and onto the Marina Lawn. Also featuring live music, special dance performances, speed painting, sip and paint events, theater groups performances, children's face painting and more that will bring a true festival feel to this year's event. Be sure to mark your calendars for the Bay Harbor Arts Festival! 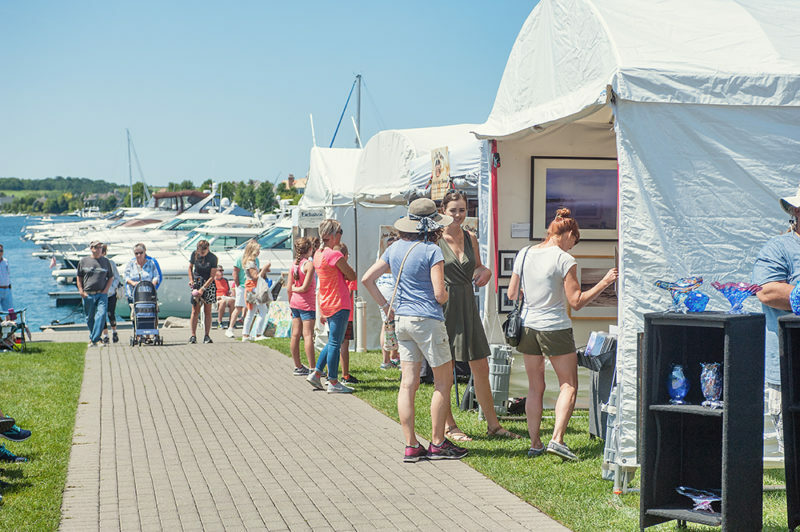 The Bay Harbor Arts Festival encourages the creation of high-quality art and artisans demonstrating creativity, innovation, and an appreciation of the arts. Artists can submit an application in the category of their preference, now through April 15, 2019. A jury fee of $40.00 is required upon applying. There will be cash prizes awarded for the artistic quality of the artist's displayed body of work. For the second year, we will also feature a “Green Market" Artisan category. The Arts Festival Committee also recognizes and celebrates the talents and creativity of those who create one-of-a-kind high-quality food and similar items. Our festival contains a non-juried “Green Market” component intended for Artisan Items; soaps, lotions, items produced with commercially available beads, essential oils, specialty food mixes, and similar items. To apply for the Bay Harbor Arts Festival, you can register HERE.